A rare detached Victorian house offering huge potential to extend and plenty of original character. The neighbouring houses have been extended substantially. 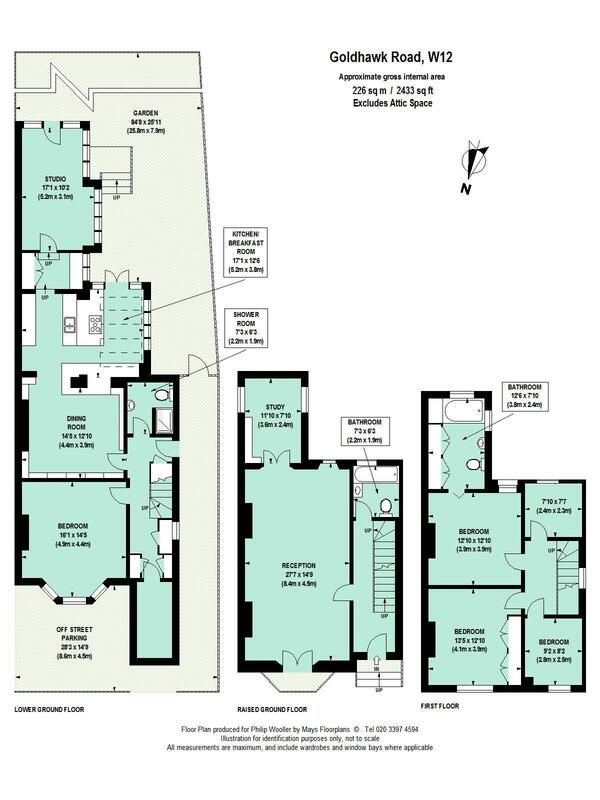 The house is big boned and has the sort of proportions that are seldom found in W12 - most notably a 27'7'' deep drawing room opening into a study / office area, and adaptable lower ground space with light central kitchen and interesting 17' studio both leading out to the good sized south facing garden. There is also useful off street parking and side access. Excellent local shops, bars and restaurants are within a few minutes walk around Askew Road, along Goldhawk Road and within Brackenbury Village, as are Ravenscourt Park and Goldhawk Road tubes and the transport / shopping hubs of Hammersmith Broadway and Westfield. 2433 sq ft / 226 sq m approx.